Tonight's attendance was approximately 300 people. Good match. The crowd was into it and all over Clark. Ford hit a standing shooting star press for the win. Berenato hit a spinebuster on Morgan to get the victory. - Tye Dillinger tried to cut an in-ring promo but was interrupted by Wesley Blake. Blake proceeded to call everyone “garbage,” even individuals in the crowd. He called everyone garbage over and over. Dillinger then put Blake down with a superkick and left the mic on him gently before leaving to a big pop. This was stiff, with hard kicks by Bing and hard chops by Tozawa. It was starting to get rolling but Tozawa took a rough bump and Bing proceeded to thrust kick him instantly to pin him and get out of there. Physical match. Cutler got the win with a big stomp off the ropes. 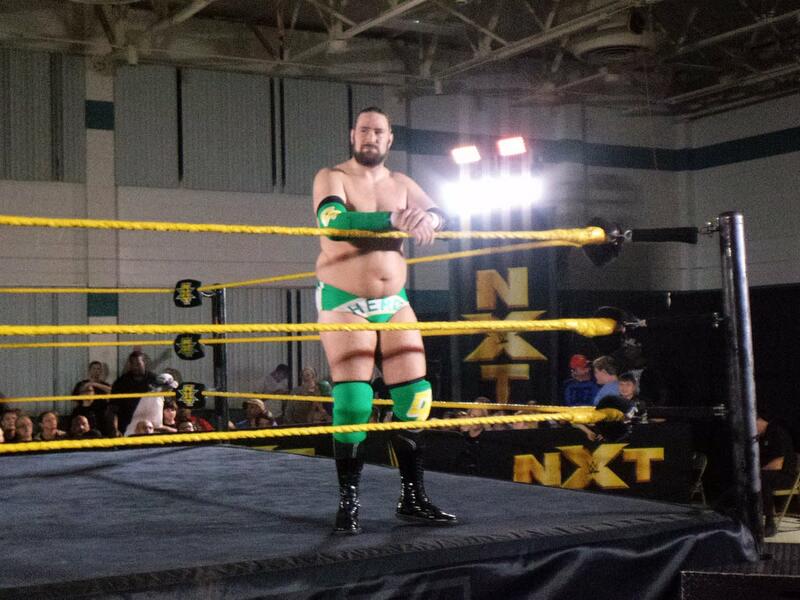 I believe this was the NXT Florida debut of Tony Nese, and this match was a lot of fun. All the Gallagher comedy spots and the physical Lorcan spots worked well. Gallagher hit the running dropkick in the corner to get the win for his team. The crowd loved this one. - Billie Kay defeated Macey Estrella with a big boot. 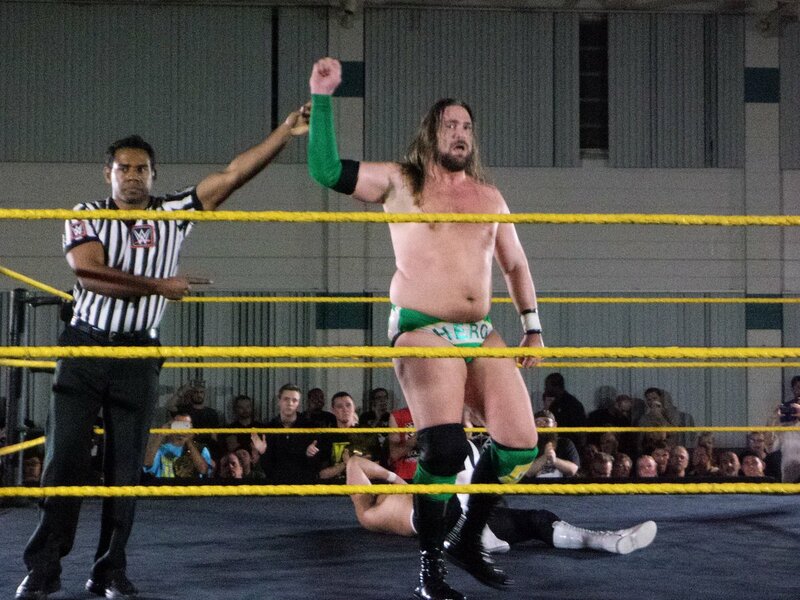 Huge pop for the former Chris Hero. This was a great match that was TV worthy in every way. There was athletic stuff, hard hitting stuff, counters, near falls, and finally Ohno bashed Almas with the neckbreaker to set up the elbow smash to the back of the head to win it. Fun main event match. 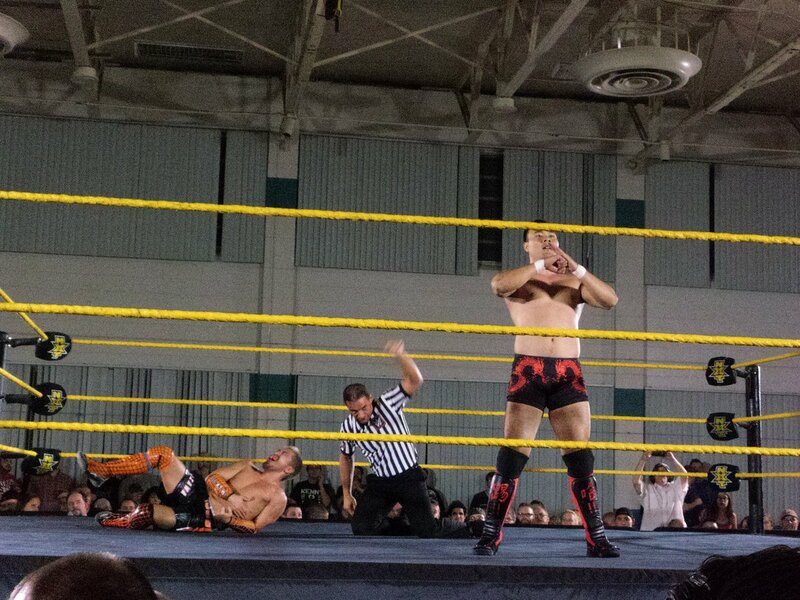 Everyone worked well and we had some strong interactions between Big Damo and Nakamura. Nakamura hit the Kinshasa on Alexander Wolfe to send everyone home happy.